Since George W. Meyer’s song “Brown Eyes, Why Are You Blue?” was written just as electrical recording was being introduced, this may be its first outing on wax. 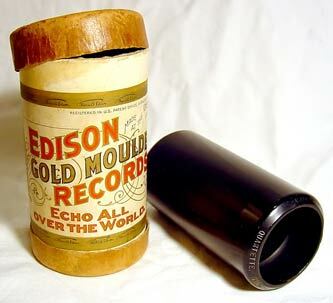 The new performance was recorded with Vince Giordano and his orchestra (“The Night Hawks”) before a live audience direct to the cylinder. The engineer, Peter Dilg of the Baldwin Antique Center, is a specialist in historic recording devices. Thus, in Robert White (whose birthday is today), the Juilliard faculty now can boast an Amberol Cylinder Recording Artist.